Cub Cadet has recently announced the latest additions to their residential zero turn mower lineup. The Cub Cadet Ultima Series – the result of over 63,000 hours of designing and testing – highlights the brand’s efforts in making the best cutting, best riding, most durable residential zero turn mower in the industry. Cub Cadet designed the seven mowers in the Ultima Series from the ground up, taking care that this new lineup modeled frame strength, operator comfort, cutting, and ease of maintenance. It all starts with the 2″ x 2″ continuous square tubular steel frame. The lower frame offers rigidity while the upper frame provides protection and support. It’s been treated with an automotive-grade corrosion defense e-coat system. The frame comes with a limited lifetime warranty. Cub Cadet also strove to make the Ultima mowers the most comfortable riding experience. Starting at your feet, the Ultima mowers come with a rubber floor mat for dampening vibrations. They also include a high-back, adjustable seat with overmolded hand grips and polymer seat isolators which provide more shock absorption than traditional springs. The Aeroforce cutting deck, which comes on select Ultima mowers, provides best-in-class cut quality. Cub Cadet promises fewer grass clumps, finer clippings, and a more even cut. These mowers are powered by either Kawasaki or Kohler engines that run at speeds up to 7.5 MPH, cutting up to 50% faster than a traditional lawn tractor. 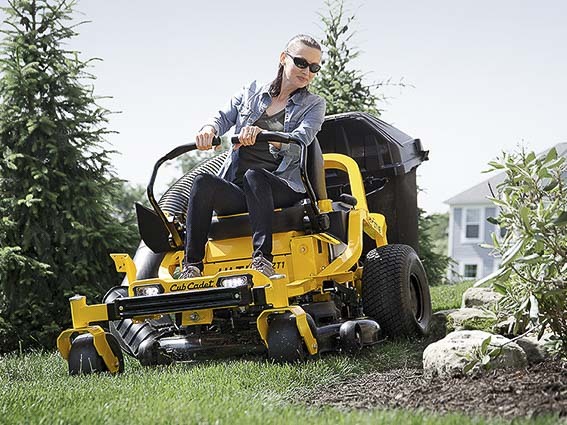 The Cub Cadet Ultima Series comes in two trim levels with varying deck size options. The ZT1 offers 42″, 46″, 50″, and 54″ decks. The ZT2 ups the ante with fabricated Aeroforce decks, more comfort options, and a more powerful engine and transmission. It comes in 50″, 54″, and 60″ deck sizes. Finally, the Ultima mowers also come with maintenance-free spindles, a hinged floor pan for easy access to the deck, and a 3-year limited warranty for peace of mind. For more information on the Cub Cadet Ultima Series, visit the website here.